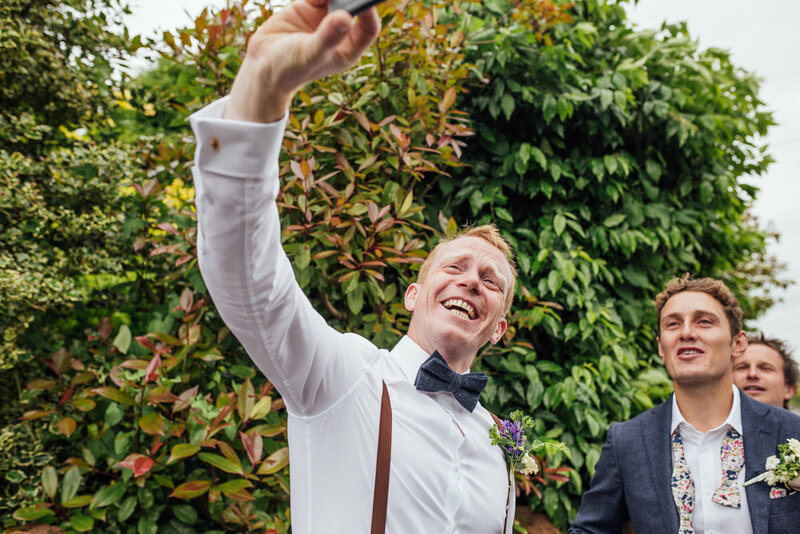 "We wanted to say a huge thank you for perfectly capturing our day! I’ll be honest, I was always quite reluctant to go for a professional photographer as I imagined posing for a camera in an unnaturally sentimental way and ending up with photos that were beautiful, but weren’t at all ‘us’… If this was my view of all professional photographers, then you have definitely managed to disprove my thinking. We are also incredibly pleased with the photos and the video that you have put together. We have watched the video so many times already. It’s a great reminder of the day and just makes us smile. I’m also amazed at how well the photos themselves bring the day to life. A lot of our guests said how nice and relaxed our day was, and Ben’s Mum said to me that people don’t realise how much effort actually goes into making it feel that way. I feel the same about your photography. It would be far easier to take pictures of people standing still and smiling; it takes a lot more to capture a moment and have photos that feel relaxed and care free, but that’s genuinely how they feel." You can also check out their wedding highlights video here too! These guys' wedding was an absolute beauty; a personal wedding reception held at Naomi's gran's house, a heartfelt ceremony at the church with the nicest vicar ever, and much dancing into the evening (aided by the free bar) - Just how a wedding should be! The weather didn't stop everyone from smiling all day, and being very British whilst consuming their scones and croquet on the lawn. One group were determined not to be rained off and continued playing in the rain! I met with them the week before to see the site and have a chat about their wedding plans (and snap a few photos) as the last time I saw them was nearly a year ago - It was great to be able to see the site and visualise everything they had planned. There were so many special little, thoughtful details at their day, I could have included so many detail shots but I had a hard time narrowing down this selection as it was. Like usual we didn't spend hours doing couple photos, when it looked like the rain was never going to ease up we thought 'stuff it' grabbed a few brollies and headed out regardless... until it turned fairly torrential! But as luck would have it, just before the speeches it ceased and there was a beautiful little rainbow! We ran out with the groomsmen & bridesmaids for a few photos in the sun. 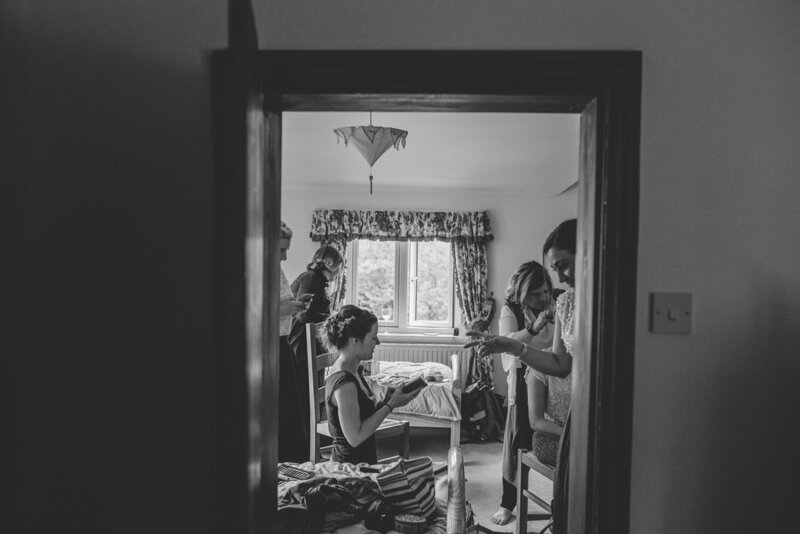 I had the lovely Olivia along with me second shooting so she went off to capture the boy getting ready, as I went to hang out with the girls - these boys were just made to be shot in black and white and I love these photos so much! These guys had the best band too - the only wedding band who I've known get away with playing Backstreet's 'Everybody (backstreet's back)' as their second song... AND still manage to fill the dance floor!